Horace Stockbridge was the first, and youngest, president of North Dakota Agriculture College, which later became North Dakota State University. He was born in Hadley, Massachusetts on May 15, 1857. He attended Massachusetts Agricultural College, where he received his degree in 1878. He had a strong background in agriculture, which was probably why he was picked to be the president. Prior to his acceptance of the presidency of NDAC, Stockbridge was an associate professor of chemistry at Massachusetts Agricultural College from 1884-1885, a professor of chemistry and geology at the Japanese Imperial College of Agriculture and Engineering from 1885-1889, chief chemist for the Japanese government from 1888-1889, and director of the Experiment Station at Purdue University during the year 1889. 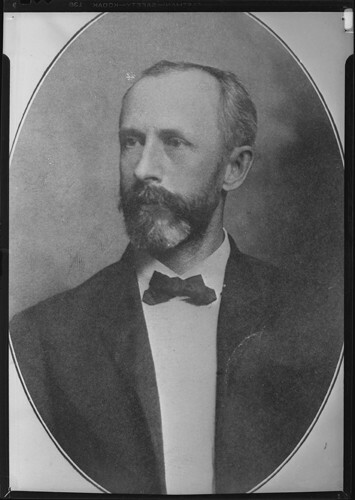 Stockbridge was elected president of NDAC in 1890, when he was only 33 years old. He was the one who picked the location of the college, appointed the teachers, oversaw the construction of buildings, and organized the experiment buildings. He designed College Hall, now known as Old Main, and came up with the idea of special short winter courses so that farmers could get the planting done, in subjects like agriculture, chemistry, and other related topics. He resigned from NDAC in 1893, because of political reasons, and then moved to Americus, Georgia. After he left NDAC, Stockbridge became a professor of agriculture at Florida Agriculture College in 1897. He was the agriculture editor and co-founder of the Southern Ruralist from 1906-1922, and in 1922 he started editing for the Southern Farmland and Dairy, which he continued to do until his retirement due to ill health. Horace Stockbridge died on October 30, 1930 in Atlanta, Georgia. In 1957, a new men’s hall on NDAC’s campus was named Stockbridge Hall in honor of the first president of the college. NDSU Archives, President Horace E. Stockbridge Papers, 1890-1893.